I have been taking pictures since high school, always finding new ways to discovered tremendous pictures and precious life’s moments. In the last 30 plus years experience I was able to integrate peoples personality in my work along with candid pictures of moments that only can be capture by being ready for the next moment. I had to opportunities to create Year books pictures, Wedding portrait, Sport action pictures, magazine work, darkroom with film large and small format cameras. I worked with "Candid Camera Limited" corporation were we took over 1000 pictures a night (This is in the film years!!! ), and "Portfolio Corp." another portrait photo company that took pictures of Cheer Leaders, Football, Baseball players etc., We did group pictures where over 300 people were gathered for high school reunions etc. Candid Camera jobs required fast shooting in dark places where I need it to interact with many individuals at a fast past without missing any photo opportunities. These gave me the proper training for Wedding Photo Journalism where there is no repeatable moment and plainly you need to be ready at any second. I enjoyed working with the customers and they enjoyed working with me as you can see in the testimonial part of this website. I worked in the depth of the darkroom doing from microscopy photography development to regular people's pictures in black and white, color, cibachrome,E-6 slide process, E-46 Kodak and other specific technical process. I did theatrical photo shooting and action pictures. Models and other product pictures. I traveled across Europe, Central America and the US capturing landscape and other clients events. In all the events specially with corporate clients and/or wedding photography I enjoyed always develop a story and impactful unforgettable images for a final production on a slide show with music or print product. Thousands of my images are in slides and negative, early last year we decided to move forward with the new Digital High Definition Camera's. About the equipment: After using several camera brands including Pentax 6 x 7 medium format, Minotla, Nikon, 2 1/4 formats etc. I decided to stick with Nikon top of the line 35 mm digital cameras. I shoot with three cameras the Nikon D5, D4 (Include 4K & HD video capabilities) and one D850 (45.7MP) and one D810 (36 MP) due the High Resolution and consistent performance, reliability and durability. The main feature that can provide a pristine image is the Full Frame Digital image with a large pixel size of 8.45 Micron that provides a better sensibility on low light situations and bottom line a super image even at ISO of 25,600! There are other reasons but the other main reason is the Nikkor crystal clear high MFM Resolution on the optics of the lens. I use from "Fish Eye" lenses 180 degree coverage diagonally to 800 mm - 1200 mm with the 2x converter and the DX mode is need it with an angle of less than 2 degrees. We also have a 14-24 mm, a 24mm wide angle lens. A work horse 24 - 70 mm VR Nikkor Lens. For Portrait and Wedding we also have the fix 50 mm f1.4, 85 mm f1.4 and the amazing new 105 f1.4 lens. One our favorite and the super sharp lens the 200 mm f2!!! We also have the 300 mm f2.8, 400 mm f2.8 and 600 mm f4! I also have multiple light sources for travel Studio needs with over 3000 watts available to any shootings according to the needs of your event. Included on the light department we have the super portable and powerful Profoto lighting system! We use the Adobe suite products and many others to delivered a professional job according to the needs. We also can provide Brochure, web pages design and video work. I consistently love to connect with the clients and people involve in the project or shooting, I also performed professionally keyboard and piano for different occasions to the point that in some occasions rarely I had being asked to either play the piano or organ when the band doesn't show! With little patient everything is possible. I discourage to be the best man and the photographer at the same wedding but I had to do it for a wedding in Missouri some years ago... We also have a Sony A7RII for filming the most precious moments at 4K and our work horse Panasonic HC -X1 4K camcorder to cover long video moments w a Leica lens from 24 mm to 380 mm f2.8! We have all the stabilizer available for professional video work including sliders, tripods monopods, dolly wheels etc. I recently shot an event in Rome, Italy, World Youth in Spain, World Youlth in Brazil, Atlanta, GA, Connecticut and Colorado for Junior Olympic Games at Beaver Creek. We are able to travel abroad or local in the New England area or abroad. We are available for any Wedding, Family pictures, event coverage, Head Shots, Studio portrait, Sport events, and any special events in your life. We will capture your precious moments. 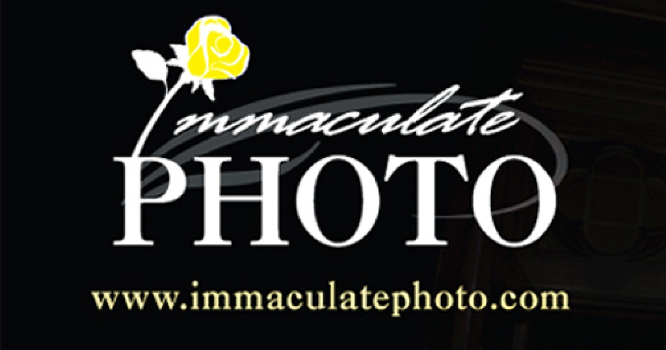 Take a few moments to explore our website www.immaculatephoto.com for sample work of special events, people, places, and concert photography. Please call 508-450-0874/508-278-9930 or email gazize@charter.net or giris.azize@gmail.com for a free consultation and address any questions for your event requests needs. Photographer, Artist and Graphical Design, PPA, PPANE, NEIPP Member!